The Minister laid foundation stone for the construction of new building for Anti-Corruption Bureau in Karimnagar on Sunday. Karimangar: Finance and Civil Supplies Minister Etela Rajender said that the State government stood in first place in the country in developing confidence among the public by maintaining law and order. 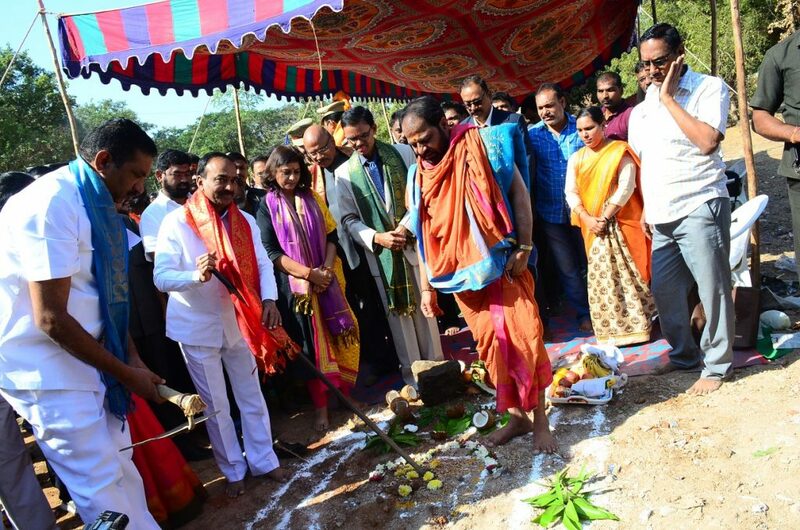 The Minister laid foundation stone for the construction of new building for Anti-Corruption Bureau here on Sunday. Rajender opined that law and order was essential to achieve golden Telangana. 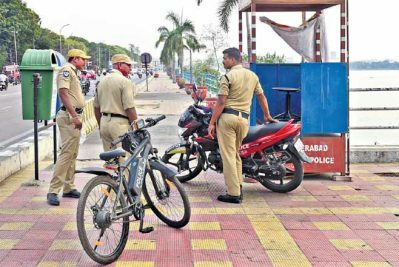 Government initiated new reforms to modernise Police Department, he said and wanted cops to take measures to instill confidence among the public. In the wake of rampant corruption, the government was also taking steps to strengthen ACB in the State, he added. As part of the process, a new building is being constructed with Rs 1 crore, he said and assured people that more amount would be sanctioned if necessary. Talking about demonetisation, he said that in the future, transactions would be done through online and cheaques instead of cash. Later, Rajender inaugurated 30 closed-circuit cameras established in Choppadandi. He distributed clothes to Christians on the eve of Christmas in Huzurabad. Rajender said that Telangana was the only State which was celebrating Christmas as an official programme.